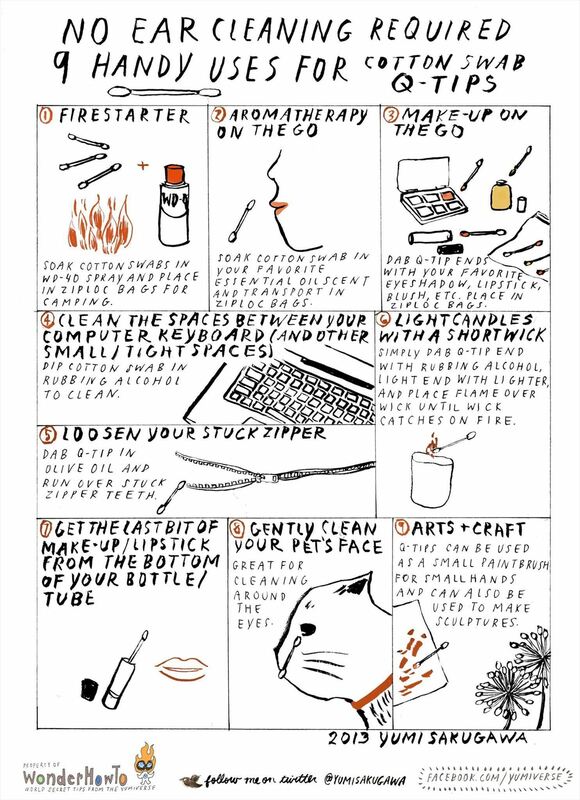 They can be used as fire starters for camping with WD-40 spray, for cleaning the narrow space between your computer keys, for lighting candles with a short wick, loosening a stuck zipper, and more. For aromatherapy on the go, dab the cotton end with your favorite essential oil and place in an airtight ziplock bag. For gentle cleaning of your pet's dirty face (especially around the eyes), Q-tips are the way to go. Got your own clever uses for Q-tips? Share with us.